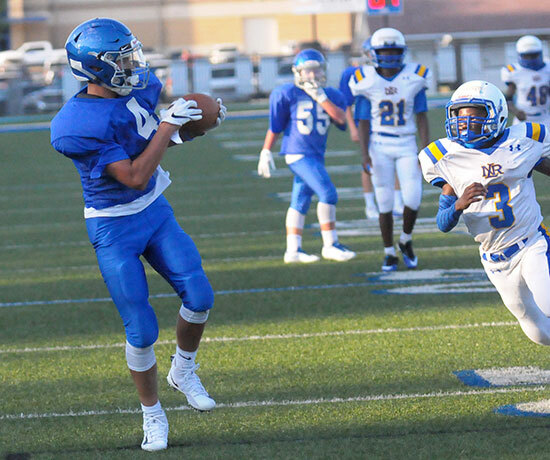 Gideon Motes ran for a touchdown and passed for two, both to Cason Trickey, as the Bryant Blue Hornets seventh grade team of Bethel Middle School earned a 22-8 win over North Little Rock’s seventh-graders at Bryant Stadium on Monday night. 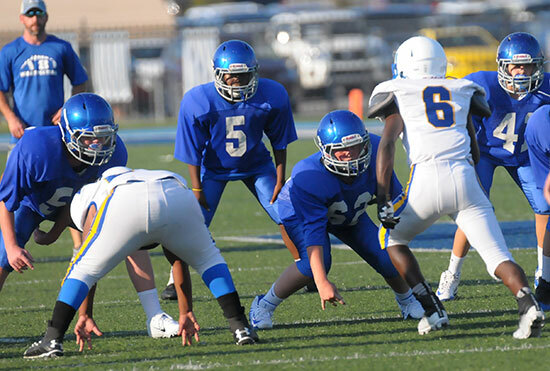 Motes also ran in a pair of two-point conversions. 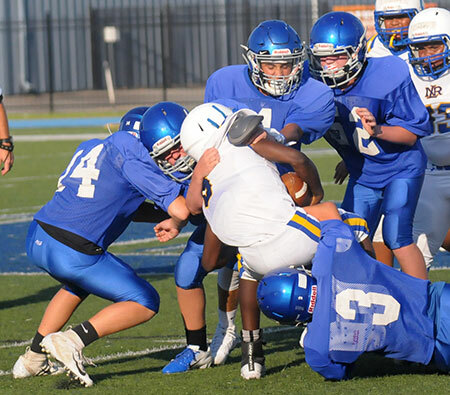 “Our defense played outstanding by not allowing much on the ground,” said Bethel head coach Josh Akers. “We were very physical and sound on defense and executed our offense very well tonight. 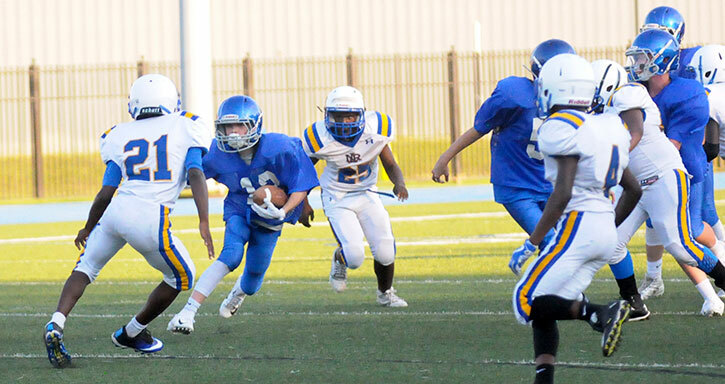 Motes opened the scoring with a TD on a quarterback keeper. He added a run for the conversion to make it 8-0. 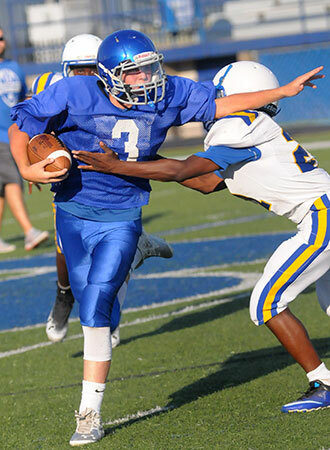 Motes’ first scoring pass to Trickey followed. He ran in the conversion as well. That duo hooked up again for Bethel’s third touchdown. A fumble foiled the attempt at a conversion. 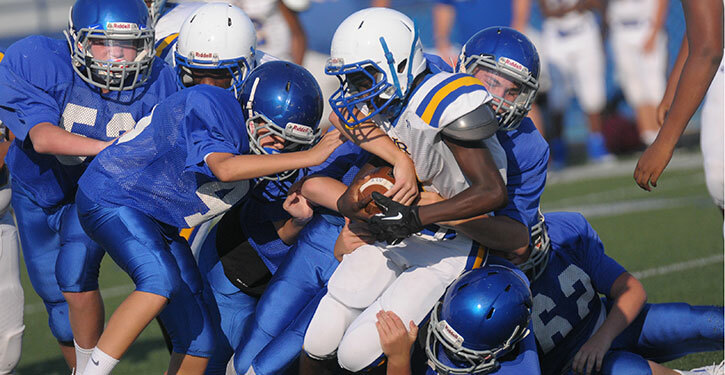 The Blue Hornets seventh-grade team will play next at Lake Hamilton on Monday, Sept. 24.